Certain Employers block access to chat applications like GTalk, Yahoo IM, MSN, etc. So, in such a situation how do you access your favorite chat application? Meebo is the solution! If you aren’t aware of Meebo then, it’s a chat application that allows users to keep in touch with friends across dozens of IM platforms, including AIM, Yahoo!, MSN, Google Talk, MySpace IM, Facebook Chat, and more. But, sometimes you can’t access meebo as well! How to Access Blocked Meebo? 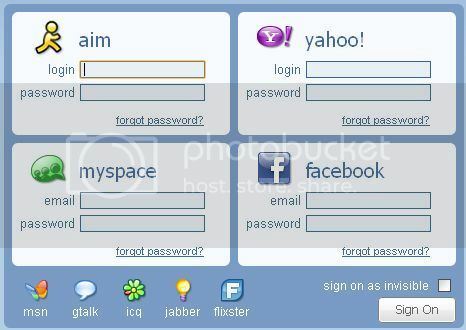 Meebo Repeater is a software download for people who want to chat safely when their IM access is restricted. All you need to do is just download and install it. The Meebo repeater will automatically configure the service and tell you the internet address that you will have to use to connect to Meebo. You might have to configure your firewall to allow Meebo repeater access to the net. It’s simple and secure.